Considered one of the most decorated Paralympic athletes of all time, 29-year-old Tatyana McFadden will soon attempt a record-breaking feat at the TCS New York City Marathon. If the 17-time Paralympian can reign champion, she will obtain the most career wins—by a male or female—in the wheelchair division of the race. McFadden was born with spina bifida, rendering her paralyzed from the waist down. She spent the first years of her life in a Russian orphanage. Without access to a wheelchair, McFadden “walked” using her hands. Adopted by Deborah McFadden when she was six years old, McFadden relied on sports to adjust to her life in the United States. After trying every sport imaginable, from wheelchair basketball and sled hockey to swimming and gymnastics, she discovered her passion and aptitude for track and field. Although she still prefers shorter distance events, McFadden also excels at the marathon. She has won numerous Abbott World Marathon Majors, including Boston, London, Chicago and New York. In 2013, she won all four in the same year, making her the first person to do so. After winning the TCS New York City Marathon for five consecutive years, McFadden finished second to Manuela Schär in 2017. On November 4, both ladies will return to the five boroughs, as part of a field featuring eight Paralympians and five Abbott World Marathon Majors race champions. We spoke to McFadden, who is racing as a NYRR Team for Kids ambassador, about her final race preparations and why the TCS New York City Marathon is so special to her. 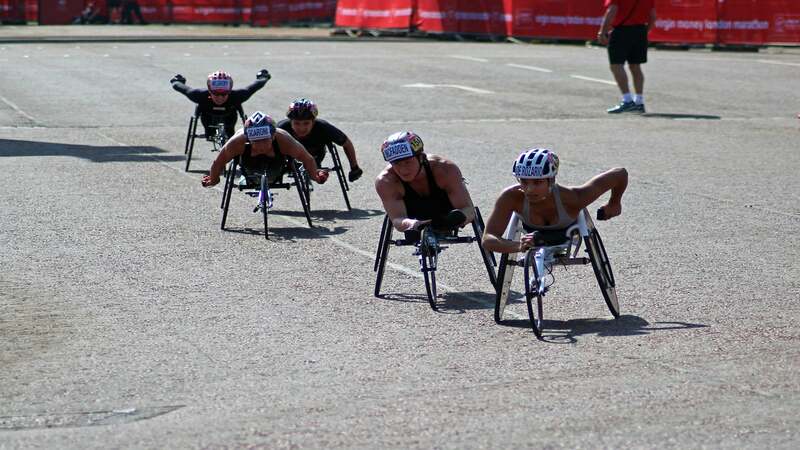 “Boston increased prize money for the wheelchair division, and that’s huge. We have to make sure that we continue to make these small milestones…Yes, we are racing in a racing chair, but we are still doing the same amount of miles as any other runner. We still put in about 100 miles a week, and that’s a lot of stress on your shoulders, and your shoulders are not that big.